Mont Tremblant Ski Resort is in the Laurentian mountains in Quebec. The resort is a premier winter destination in Canada. In fact, there are so many great things to do in Mont Tremblant year-round, it is a favorite holiday destination for people throughout the world. 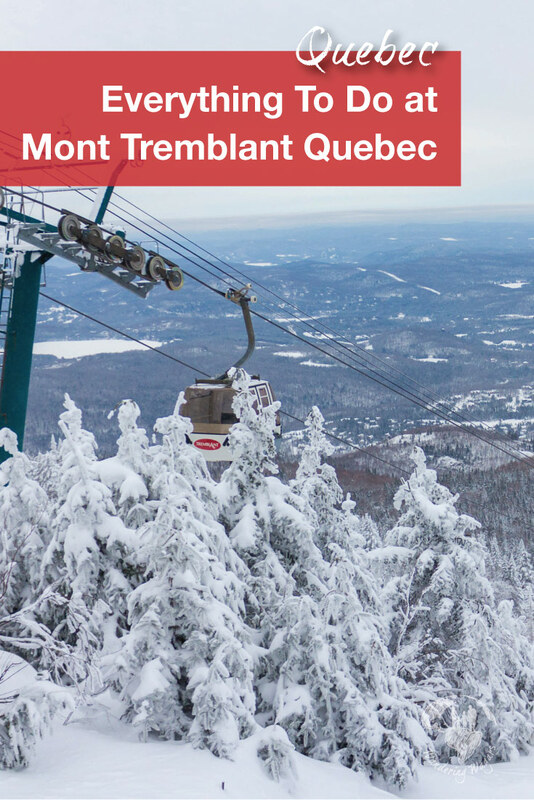 Mont Tremblant is accessible from Toronto via a 6-hour drive. Or, it’s possible to fly-into Montreal’s International Airport then make the 1.5 hr drive north to the resort. If you’re looking for amazing things do do during a Canadian winter, hitting the hills needs to be near the top of your list. After learning to ski in Kelowna, British Columbia we were anxious to find more family-friendly ski resorts to improve our skills. But we didn’t want to spend all of our time on the hills. We also wanted to experience other great activities as well. 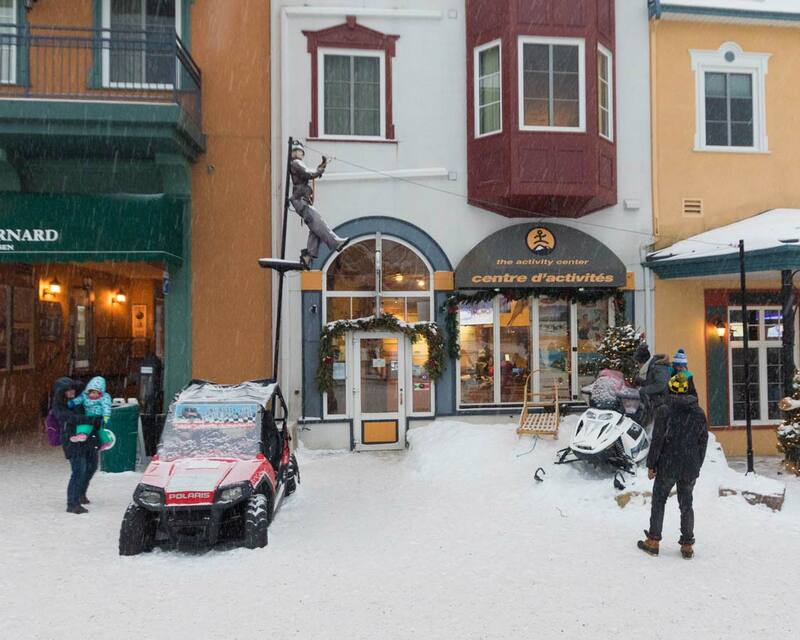 Mont Tremblant Ski Resort and Village is full of fun activities that can be enjoyed by the whole family in winter. Although most people come to Mont Tremblant in winter to go skiing, there are amazing family-friendly activities for those whose days don’t involve time on the slopes. During our weekend stay, we were able to experience many things to do in Mont Tremblant with kids. Best of all, the Activity Centre in the Village makes signing up for activities a breeze. 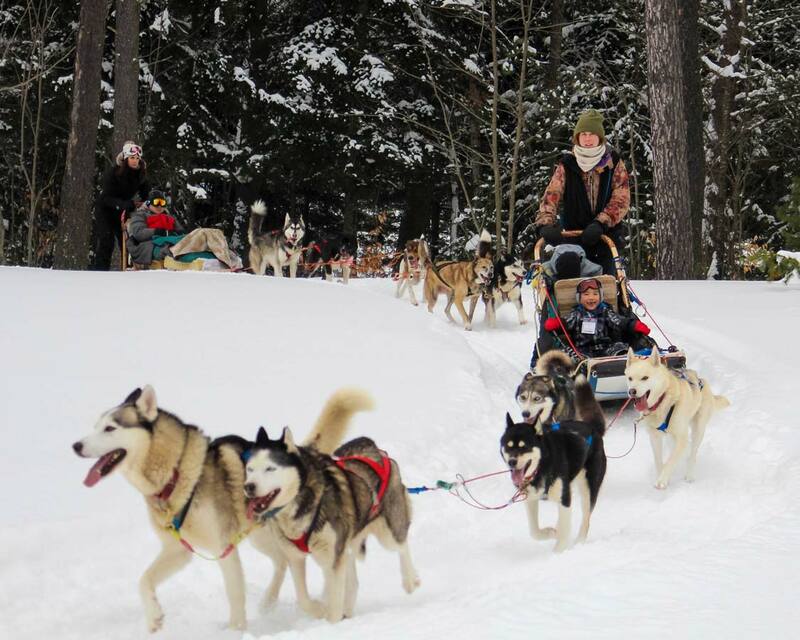 Here are a few of our favourite Mont Tremblant winter activities with kids. 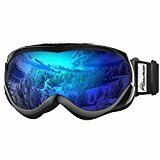 For those that are looking for quality powder for skiing or snowboarding, Mont Tremblant has one of the best hills in Eastern Canada. 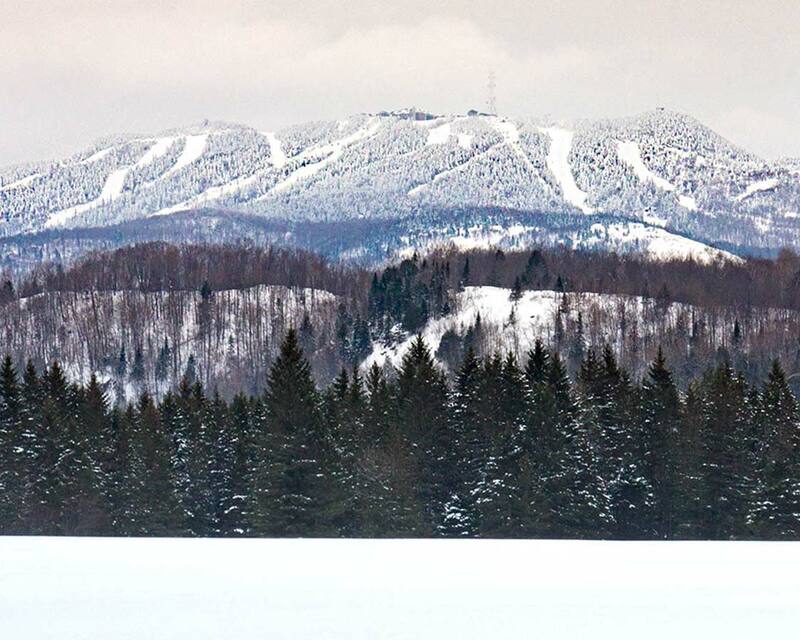 Mont Tremblant Ski Resort is spread over 269 hectares and has 96 trails from beginner to double black diamond. This means that the resort can accommodate a large number of people on various hills. They also have 14 chair lifts so it is never a very long wait to get to your next run. Mont Tremblant has also made family ski holidays easy. For those traveling with younger children, there are a couple of beginner hills that are equipped with magic carpets (conveyor belts for learners not ready for chair lifts) making getting up the hill a breeze even for little ones. It is also possible to sign up for the Mont Tremblant ski school. 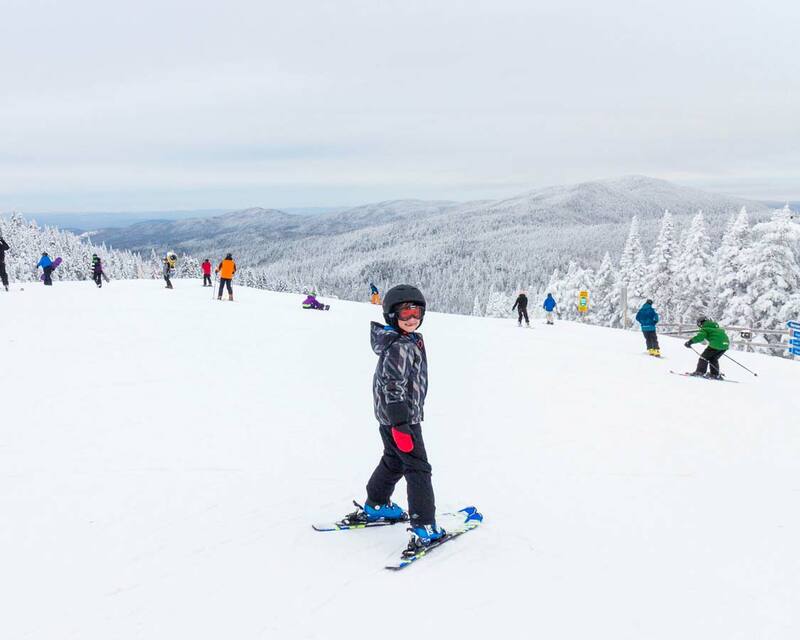 This means children can partake in supervised skiing with experienced instructors while parents enjoy the larger hills or experience some of the other Mont Tremblant activities. No equipment? No worries! Everything from your helmet down to your boots can be rented on-site. The rental center is also the same place to go if you want to sign up for lessons. Snow School is not just for beginners. Refresher courses are also on offer for those that only ski occasionally. If skiing is not your thing or you want to take a day off from enjoying the hills, then skating is a great way to enjoy the outdoors. 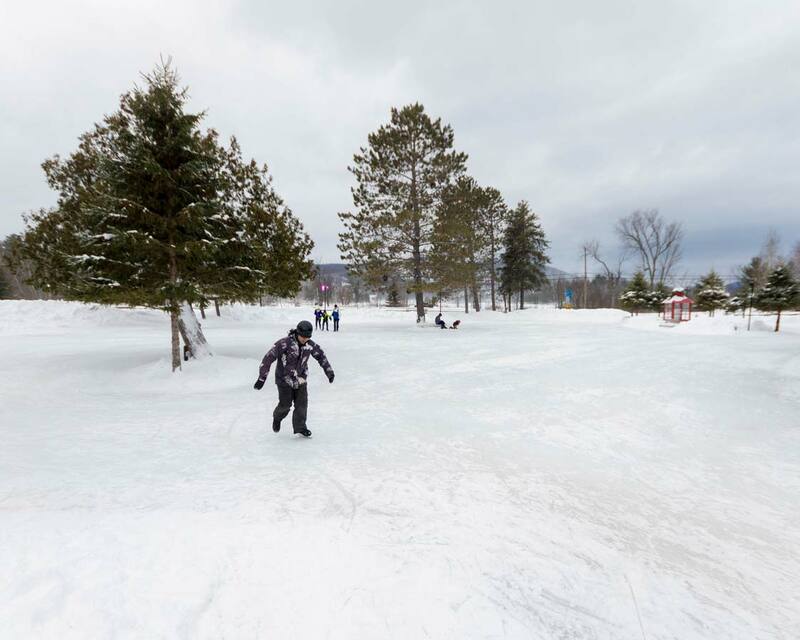 In the winter, Tremblant Resort transforms Lac Miroir into an outdoor rink. The best part, it is located close to the large outdoor fireplaces. A great place to warm-up after doing some laps on the rink. Lac Miroir in Tremblant is one of the top spots in the resort for the locals as well. In fact, it was so loved by the resort’s founders that both he and his wife chose the grounds of the chapel to be their final resting spot. For families with children who are not tired out by a whole day of skiing, enter night tubing! That’s right. Some of the ski hills are transformed at night into tubing slides. It is a fun and relaxing way to enjoy the night with the whole family. Night tubing passes are included for those staying in one of the lodges in the resort. Or, lift tickets can be purchased at the resort by those who are staying off-site or at one of the other resort hotels. 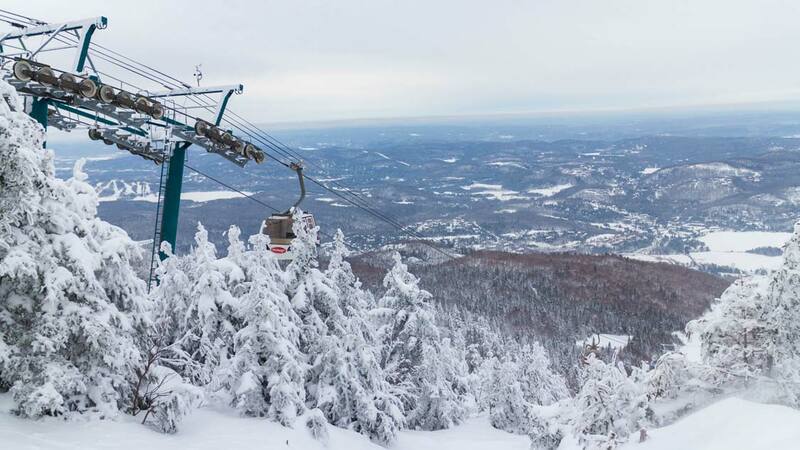 People may be surprised to find out that Mont Tremblant is a year-round destination. In the grounds of the resort is not one but two golf courses. In winter, Le Diable, one of the two golf courses becomes the playground for the group of huskies owned by a local Quebecer, Mateo. The course is a quick 5-minute drive from the main entrance of the Village, although a shuttle is offered for those who sign up for the activity. Dog Sledding was a definite highlight for the boys who each had a chance to drive the sled (with some help, as they weren’t heavy enough to run the brakes themselves). The experience was just as fun as when we went dog sledding in Yellowknife. However, instead of going around lakes, we stuck to trails that weaved in between pine trees with views of Mont Tremblant in the distance. At the end of the ride, we got a chance to meet and play with the Huskies. It was also fascinating learning from the owner, Mateo, how he makes the sleds himself by hand. The Aquaclub La Source has both an aquatic and a fitness center. The aquatic center is definitely a must visit for families traveling with kids. Of all the things to do in Mont Tremblant, we knew we had to try the aquatic center as the kids had so much fun in Plunge! aquatic center at Blue Mountain Lodge Resort just outside of Toronto, Canada. 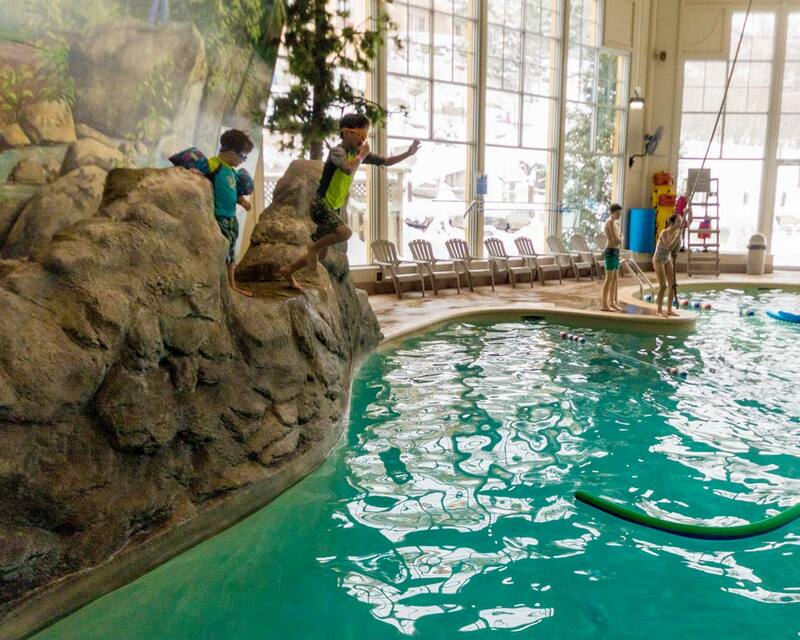 The large indoor pool at Aquaclub La Source is graded so even little ones can enjoy being in the “big kid” pool if they keep close to the edge with their parents. However, there is also a wading pool and splash pad specifically for toddlers. No need to worry about bringing a life jacket either, as they were available for free. The Tarzan swing and the cliff jumps were definite hits for the boys. Additionally, Kevin and I really appreciated the large hot tub from which we could keep watch on the boys. Experiencing the Aquaclub at Mont Tremblant was a relaxing end to our weekend getaway. 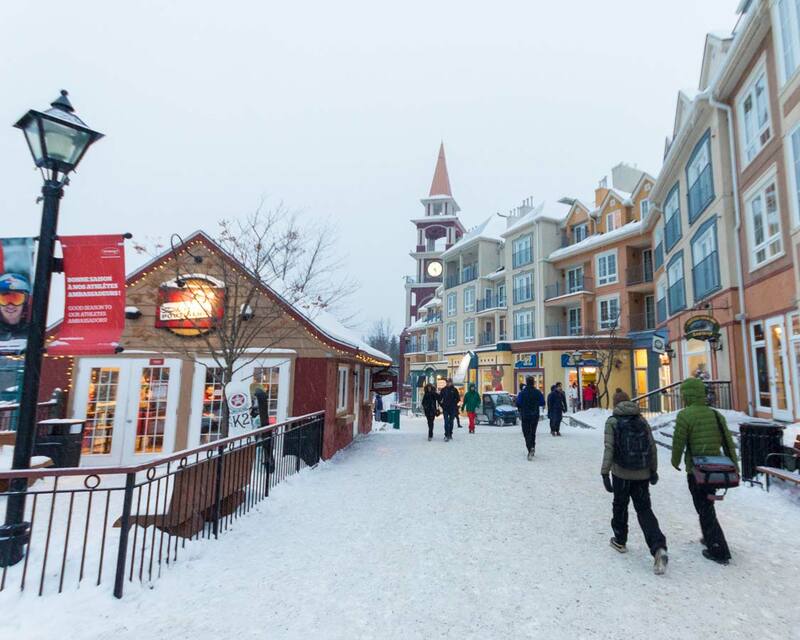 The Pedestrian Village in Tremblant is one of the largest villages in a ski resort in Canada. There are many stores that carry the latest fashion trends. There are also a variety of restaurants to suit most tastes. But since we were in Quebec, of course, we had to indulge in the local favourite, poutine (french fries topped with cheese curds and beef gravy) from Smoke’s Poutinerie. For those that like to make their own meals, some of the lodgings, such as our accommodations at Lodge de la Montagne, come with fully equipped kitchens and there is a grocery and market store in the Village to help you keep your fridge stocked. During our weekend getaway, we didn’t have time to enjoy all of the family-friendly activities that Mont Tremblant ski resort offers. We would have loved to explore the trails further by hiking, cross-country skiing, or snowshoeing. A sleigh ride is also offered in the late afternoons or evenings. It is a great way to learn about the local culture while sipping a hot cup of cocoa. Next time we go D will also be old enough to join in on the guided snowmobiling which provides amazing views of the Upper Laurentians. Additionally, we want to try the 4×4 Dune Buggy Ride which is a great way to explore the trails along Mont Tremblant National Park which is only a short drive from Mont Tremblant Ski Resort. For families with older children, there is also the Tree to Tree Course where teenagers can go on an adventure along treetops by walking along ropes, suspended bridges, and nets. Also, there is a paintball course on site! You must be older than 12 yrs to participate in the matches but children as young as 5 yrs old can participate in target shooting. There are also indoor escape rooms and laser tag for those days that may not be so conducive to being outside. 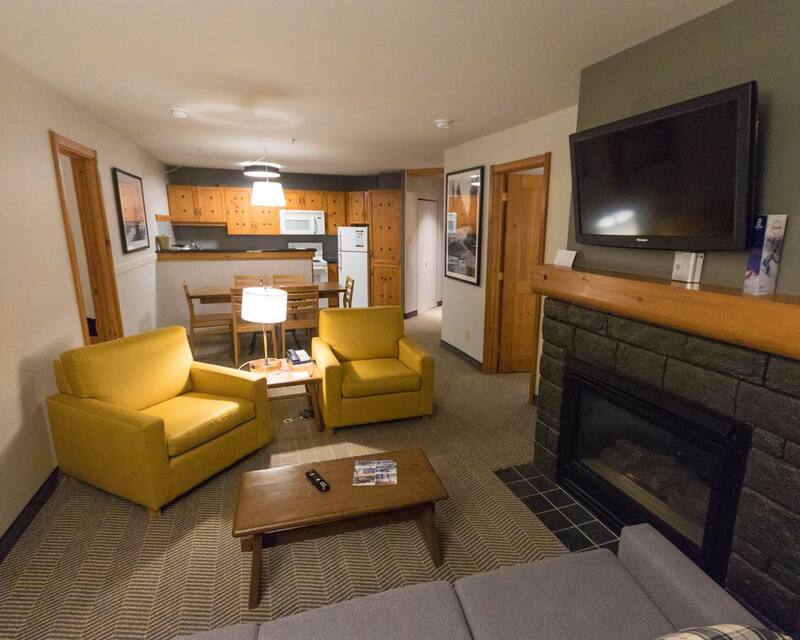 There is no shortage of variety in the accommodation available at Tremblant resort. There are vacation homes, townhouses, condos, and hotels all over the resort. For those that want to be right in the action, it is possible to find a place right in the Pedestrian Village. For the best views, why not stay up in the mountains? Or if you want something a little quieter, why not pick lodging that is closer to the golf course? For our weekend getaway in Mont Tremblant ski resort, we stayed at the Lodge de La Montage in the Pedestrian Village. We were in a spacious 2-bedroom suite. Important for families, each bedroom had its own full bathroom. There was also lots of space for our winter clothes and gear with two closets in the front foyer and a full closet in each of the bedrooms. The kitchen had a fridge, stove with oven, microwave, toaster, and coffee maker. Also, it was fully stocked with all kitchen essentials such as plates, utensils, chopping board, coriander, and cheese grater, just to name a few. Soap was even provided for the dishwasher making clean up a breeze. Skis and snowboards are not allowed in the suites but lockers are provided and conveniently located for easy ski-in/ski-out access. And for those that unfortunately have to work during your winter holiday, wi-fi is included in the room rate and was fast and worked quite well. Other additions included in the room rate were first tracks passes which meant we could access the slopes before it opened to the general public. We also received night tubing tickets and free skate rentals. Both great additions and that enabled us to experience some of the many things to do in Mont Tremblant. You can check out all the Mont Tremblant activities here. Disclosure: Our lodging and activities were provided by Mont Tremblant Ski Resort. As always, our views remain our own. Wandering Wagars is a participant in the Amazon Services LLC Associates Program, an affiliate advertising program designed to provide a means for sites to earn advertising fees by advertising and linking to amazon.com, amazon.co.uk, amazon.ca. Amazon and the Amazon logo are trademarks of Amazon.com, Inc. or its affiliates.